Is China opening up to neogeography? News item one: The People’s Daily Online reports today that China’s government will develop a national GIS platform “inspired by” Google Earth, aimed in part at the general public. The move, disclosed at a national conference for directors of surveying and mapping bureaus held on January 14, marks fundamental changes in China’s traditional services to supply basic geographic information. Upon completion, the program will provide comprehensive online geographic information services similar to “Google Earth” and “Google Maps” to all types of institutions and to the general public. Because the needs of the society are getting bigger, and because the demands coming from Government institutions, enterprises and individuals for authoritative and reliable online maps and geographic information services are increasing on a daily basis, there is now a pressing need to provide online national multi-scale and multi-type geographic information resource services for a comprehensive use. It was embarrassing that everyone but the Chinese could see satellite imagery of Beijing transformed by glorious new stadiums during the Olympics. In fact, there were plenty of informal ways for those behind the Great Chinese Firewall to see the imagery — just not officially. 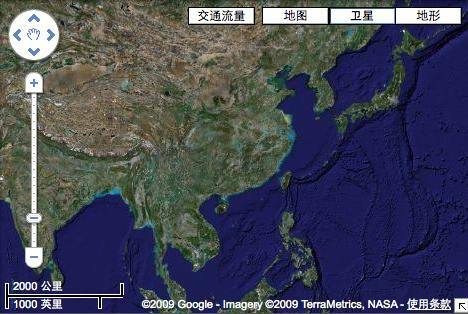 Google Maps, then, is adaptable to the Chinese market, but Google Earth is not served from within China, and shows just one universal set of border data. Google Earth isn’t blocked in China, so Chinese citizens do have access to it, but I suspect it just won’t do for government-sanctioned use, as that would be tantamount to accepting an outside view of its borders. 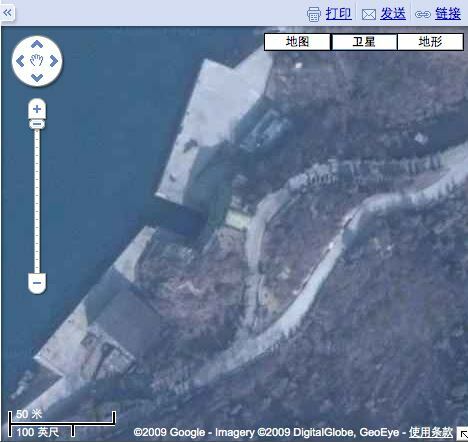 Another hint that China remains worried about borders but not any longer about satellite imagery is that the imagery layer in Chinese Google Maps comes without any border/label overlay option at all. It is just pure satellite imagery — you can’t even tell where China ends and India begins. It’s clear that a straight port from the international border/label overlay would not be acceptable; best not to have any information at all than the “wrong” information. In sum, all this news implies progress towards a more open and relaxed attitude by China’s leadership when it comes to mapping tools not crippled by government controls and censorship. It’s a step in the right direction, though in other domains the road remains long.